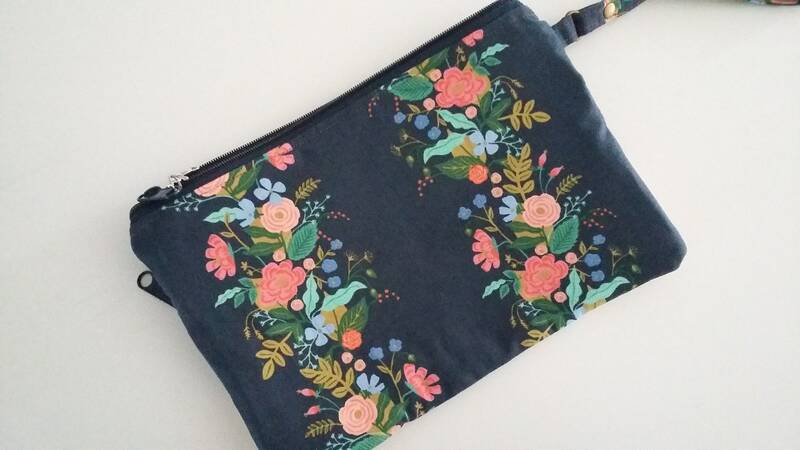 A pretty floral clutch bag for carrying the essentials on a day out or any special occasion...it can also double up as a travel wallet for your passports and other valuables. 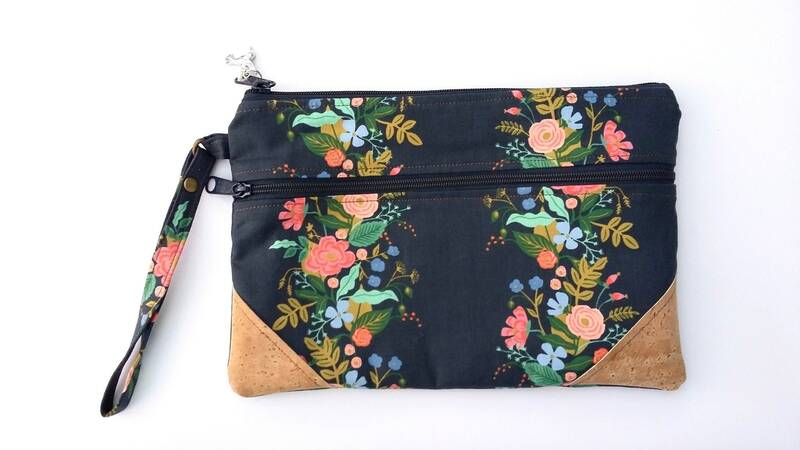 In this beautiful Garden Vines print from the English Garden collection by Rifle Paper Co. 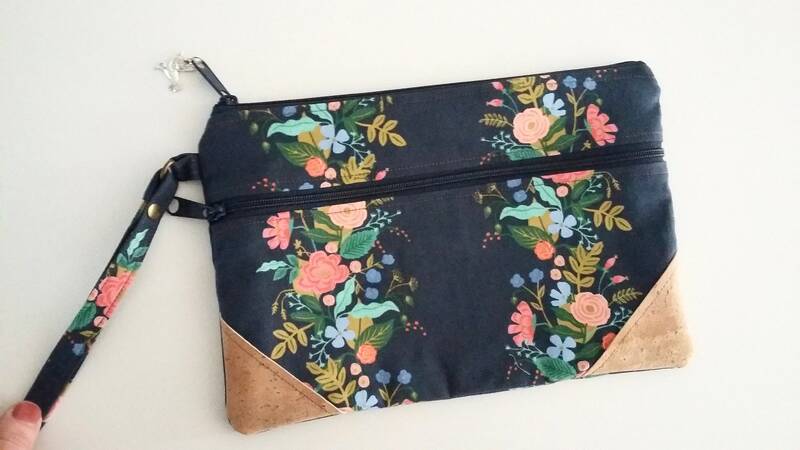 The front of the clutch has a zipped pocket for storing smaller items and decorative cork corners. 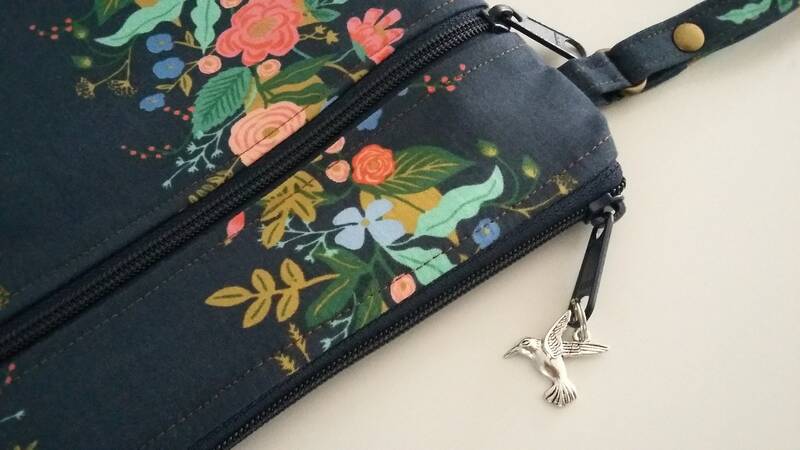 I have used navy zips with a hummingbird charm on the top zip pull. 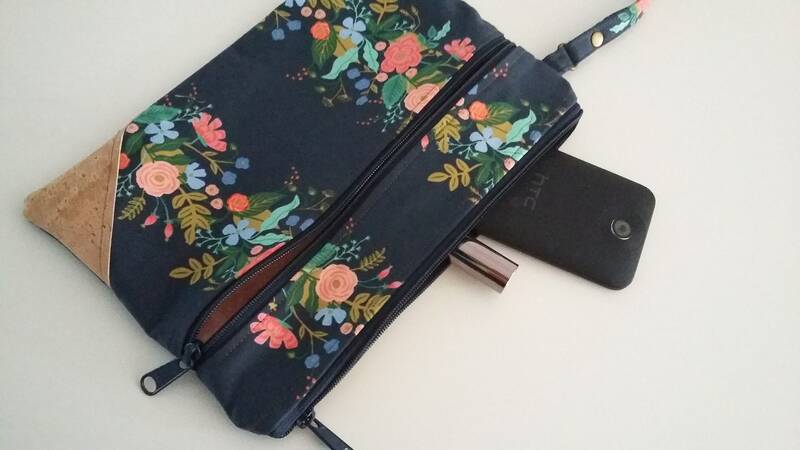 The clutch has a wristlet strap in the same print attached by a d-ring. Lined in an apple "Twist" print. Two layers of woven cotton interfacing give a soft structure to this bag. Measures 10.5" (26.5cm) wide x 7" tall (18cm). 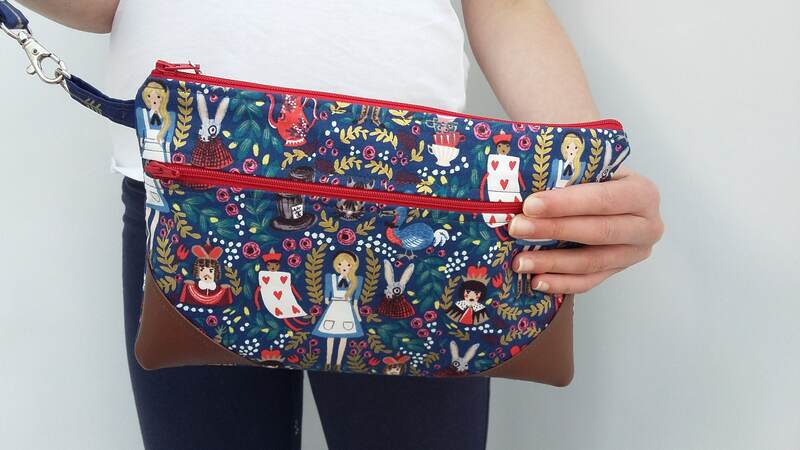 Pattern credit: LBG Studio See photo of Alice clutch bag to gauge size when carried. Only one available, ready to post to you in 1-3 business days. Postage is with tracking in the UK, or standard international shipping with proof of postage.